Hockey is filled with a lot of unique traditions. Perhaps most notably, is fans throwing hats on the ice following a hat-trick. Over the years this has evolved in certain cities. In Detroit, they throw octopus onto the ice. In Nashville, it's a catfish. Now, in Las Vegas, it's Flamingos. No, not actual flamingos, but the kind you can put on your lawn. You can thank Drew Johnson for starting the tradition. Drew, who is originally from Nashville (accent and all), decided to bring his pink plastic friend with him to a Golden Knights game earlier in the season. After the win, he chucked the flamingo onto the ice. Drew says he had to stuff the flamingo in his pants to get it through security at first. Now, the flamingos are embraced by the Golden Knights and have become a part of the winning tradition. On 13 Action News at 5 p.m. sports reporter Ross Lippman will introduce you to Drew at City National Arena. What started as one flamingo, turned into a flock of flamingos, even traveling on the road during the Knights run in the Stanley Cup Playoff. Immediately after the Knights defeated San Jose in Game 6 to end the series, down on the handshake line (another hockey tradition) was the flamingo. Is it unusual? Yes. But then again, so has everything about the Golden Knights' success in its inaugural season. The Victory Flamingo has made his way onto the merchandise shelves as well. 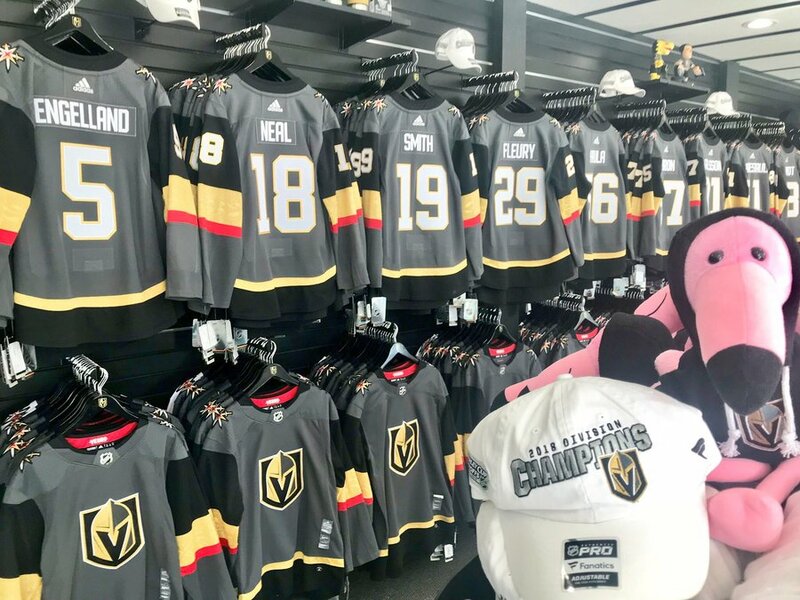 The VGK Flamingo has a strong presence on social media as well. You can follow him on twitter @VGKFlamingo . The Victory Flamingo is hoping to travel for Game 1 of the Western Conference Finals. For Drew, it could be his hometown team the Predators, taking on his new team. Though he wasn't born in Vegas, Drew now roots for the team that is Vegas Born.